This type of project can take a number of forms. 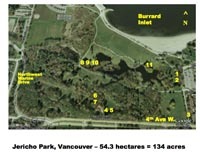 Some students develop interactive guides (for example, UBC map on website to the left in conjunction with activities, such as Key). 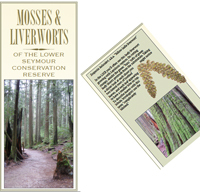 Erica Hunter developed a guide to common bryophytes of the Seymour Conservation Reserve. 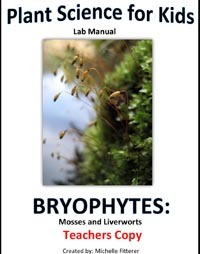 In her trail pamphlet, Erica not only describes the species and gives the reader a good overview of bryophytes, but they are illustrated with her own coloured drawings. Other students develop pictorial guides to specific trails or garden locations as well as do vegetation survey.